Is becoming a New York elementary teacher in your future? Going through the certification procedures guarantees that you have met the state and national requirements to work as a teacher. These requirements include obtaining the correct education, background testing, examinations, and experience in the field. Step 1 Enroll in a Teacher Education Program. Before you can enter the classroom, you must first complete the necessary coursework in the fundamentals of elementary education and the cores subjects you will teach. A list of approved teacher preparatory programs can be found on the New York State Department of Education website. As you work to obtain your bachelor’s degree, you will be required to take roughly 30 credit hours that specifically address elementary classrooms. Specifically, you will be required to take seminars or coursework on child abuse and training on preventing and addressing classroom bullying. Step 2 Get a criminal history background check. Before you can apply for your license to teach in New York, you must apply and submit for a fingerprint background check. This requirement ensures that you do not have any major red flags on your personal history that would prevent you from being a safe teaching candidate. To complete your background check, you must first request a fingerprint card from your education program or contact the Office of School Personnel Review and Accountability via email. Once you have received your card, you will fill out the personal information half, sign it, and bring it to a fingerprinting facility. A list of fingerprinting locations can be found on the FBI’s database. Once the background check has been completed, the New York State licensing office will be notified that you have clearance to teach. If something does come up, you will be able to explain your background check findings before applying for your final certification. 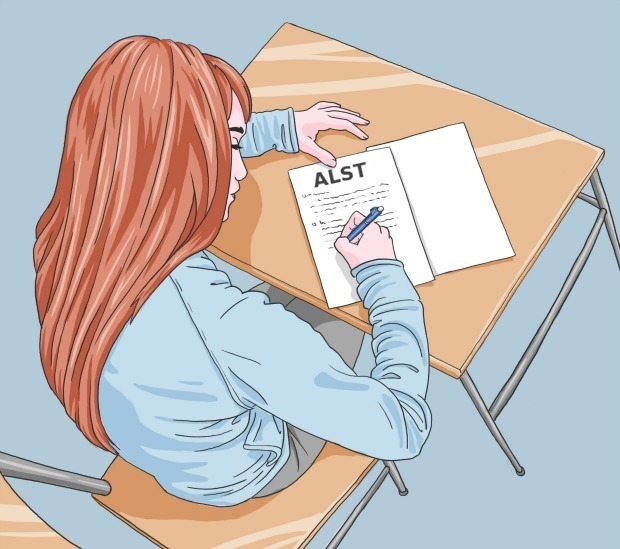 This 210-minute exam assess your ability to teach basic language arts and literacy. It contains both multiple choice and constructed response questions. The cost to take the test is $131. This guide, provided by the test agency, will prepare you for the test with free sample questions and a paid, full length study guide. A shorter exam than the ALST (it lasts 135 minutes), the EAS tests your knowledge of the education profession and how to work with a diverse student population. Its questions specifically examine your ability to teach English-language learners and exceptional learners. The exam costs $102 to register. This pdf guide by the testing agency breaks down the questions and prepares you for what to expect. As an elementary teacher, you will be tasked with teaching almost every subject area to your students. The CST Multi-Subject exam will allow you to demonstrate your knowledge of the core subjects: Language Arts, Mathematics, Science and Technology, Social Studies, Fine Arts, Health and Fitness, Family and Consumer Science, and Foundations of Reading. The cost of this exam is $119. For more information, visit the New York testing agency’s website. The edTPA is the newest exam required for future teachers. Required during student teaching, the edTPA requires teachers to be videotaped as they perform in the classroom. Their tapes are then scored by an outside party. Elementary teachers must score a minimum of 49 to pass. The assessment costs $300; visit the edTPA site for more information. Step 4 Get the required Experience. The best way to hone your teaching craft is to do it in the classroom. This is why New York requires all future teachers to have undergone fieldwork and student teaching in the classroom before they are able to receive their certification. You will most likely be required to first perform a subscribed amount of fieldwork first. Fieldwork includes observing classrooms or even performing short term teaching experiences. The amount of fieldwork required depends on the teaching program, but it typically consists of an entire semester worth of work. The second portion of your teacher training is pivotal: student teaching. Student teaching is essentially your capstone project in which you work under a mentor teacher, gaining the necessary hands-on skills to eventually take over the classroom. Lasting a full semester (or combined with fieldwork for a year placement), student teachers can hold multiple placements if their program allows. Student teachers can find their placements individually or through the assistance of coordinators or advisors at their school. Larger school districts, like New York city, require an application. To prepare for your short stay as a student teacher, finding valuable fieldwork or observation experiences can greatly improve your ability to jump in faster. Student teachers should also follow and track the feedback received from the edTPA videotape exams, advice from their supervising teacher, and the assessments for their coordinator at their prep program. Step 5 Complete required documentation and Apply for Certification. On the TEACH site, you will be able to check the status of your application, including information on whether or not your university has submitted their recommendation form on your behalf, as well as the status of your fingerprint background check. Once your application is completed and all materials have been received, your application for certification will be evaluated and processed in 2-8 weeks.